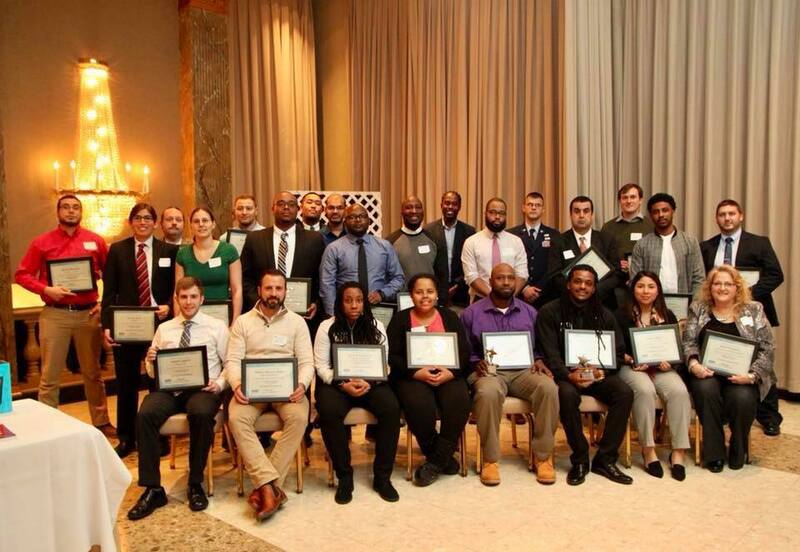 Every year, Capital Area recognizes outstanding analysts and technicians in the DC metro area. The winning analyst and technician go on to compete at the regional level, representing the Northeast Region; regional winners go on to compete at the national level, sitting for live interviews at the HDI Annual Conference & Expo each spring. Click on the buttons below to learn more about each award. All nominees and their managers will be honored guests at our Annual Awards Luncheon in December. Every nominee will receive a framed certificate and be recognized at our December luncheon. Recognize your Help Desk and Desktop Support Technician ROCKSTARS - Nominations Due October 31st! All nominees and managers will be our honored guests, at our Annual Awards Luncheon, on Thursday, December 6th at Martin’s Crosswinds. We will recognize each nominee and their manager. Every nominee will receive a plaque and the winners will receive the Analyst of the Year or Desktop Support Technician award. 3. You may choose to answer additional questions, which gives your nominee the best chance to win!